Not far from the office in Midtown is Worldwide Plaza. 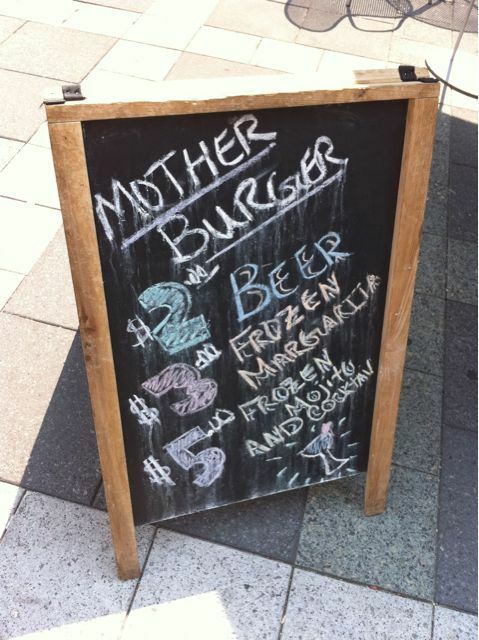 I stopped in there to get the Korean Tacos at Bann Next Door, and noticed the nearby Mother Burger. Of course, what really caught my eye was the sign announcing $2 beers. Hello! I knew I’d have to stop by to see if the burger was any good – drinking on the job is an obvious no-no, unfortunately. 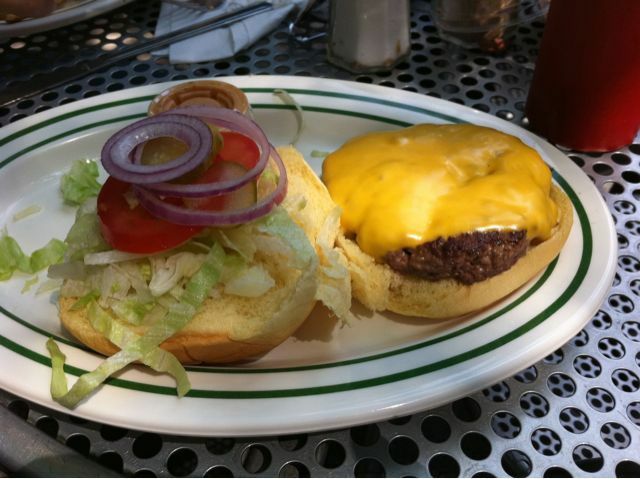 But one can always sample a burger! 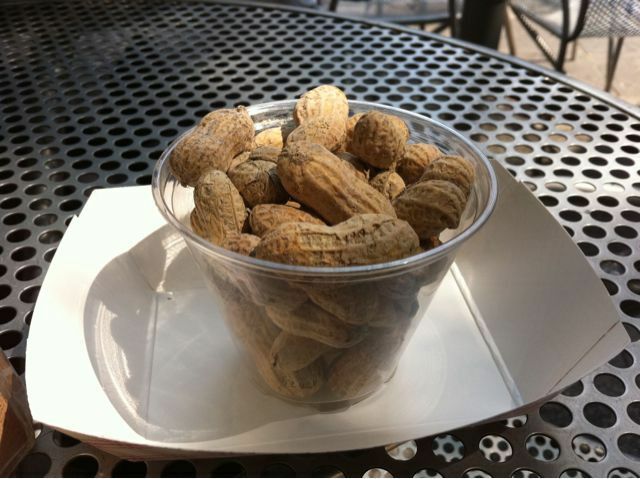 The first thing I liked about Mother Burger was the fact that these wonderful peanuts were waiting for you at the table. I love peanuts in the shell, can eat them all day. These are straightforward ballpark peanuts, delightful. The first warning sign was they didn’t ask me how I wanted the burger done when I ordered it. No surprise: it was frankly meh for an Angus burger – a bit tough, and seemed to be making a run after the Big Mac, flavor-wise. The slab on a potato bun went for $6.95 (with cheese), where they get you is the extra couple of bucks if you want fries. I’m on a diet, so my answer was no. 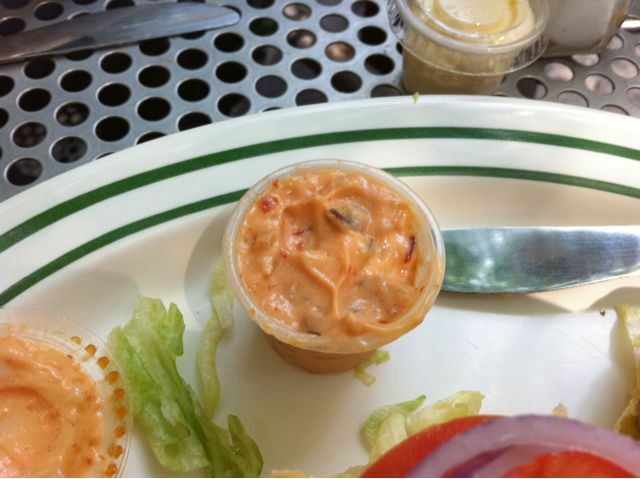 This special sauce (a mix of Russian dressing and chipotle mayo) really helped resuscitate the sandwich. 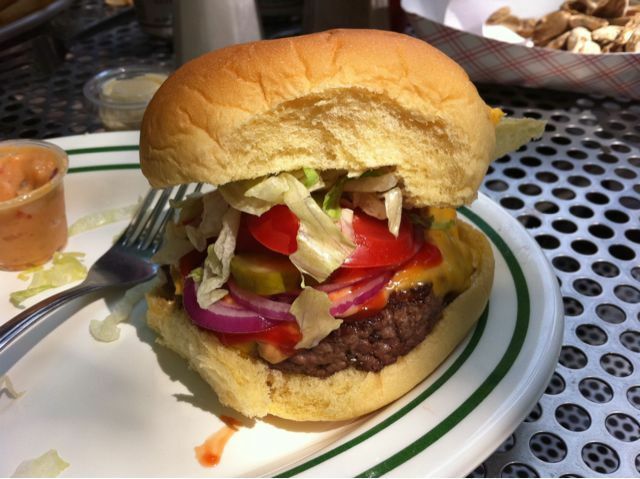 Not a bad looking burger, once completely assembled. A vaguely more healthy version of a big mac. 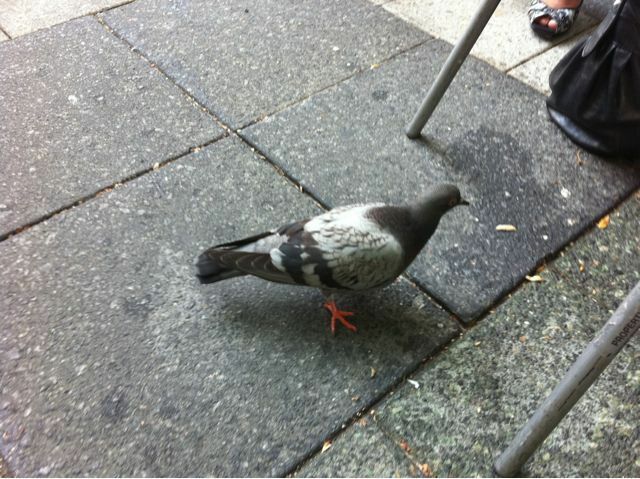 Mother Burger suffers from one huge problem: it is absolutely swarmed with pigeons. I was afraid my meal was going to get its own special sauce from a more avian source. Yikes. A consequence of all those peanuts lying around, is my guess. 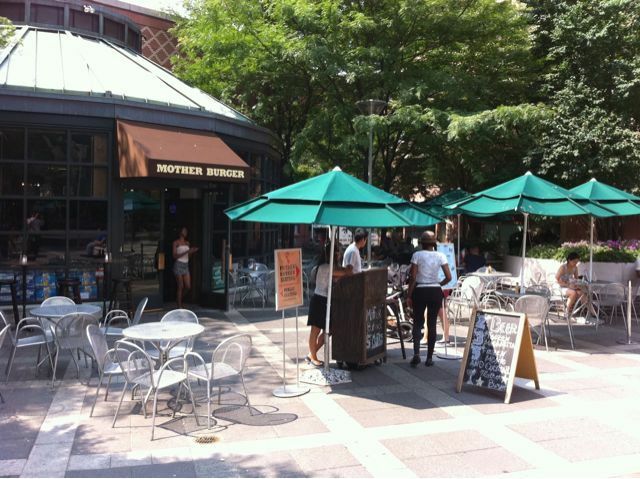 Also, numerous tables are tucked under trees. Not sure if I’ll return. It was good, the notion of a $2 beer is appealing (turns out it’s hipster beer in cans: PBR, Rolling Rock, Schlitz, etc…), but nothing spectacular. A nice spot.